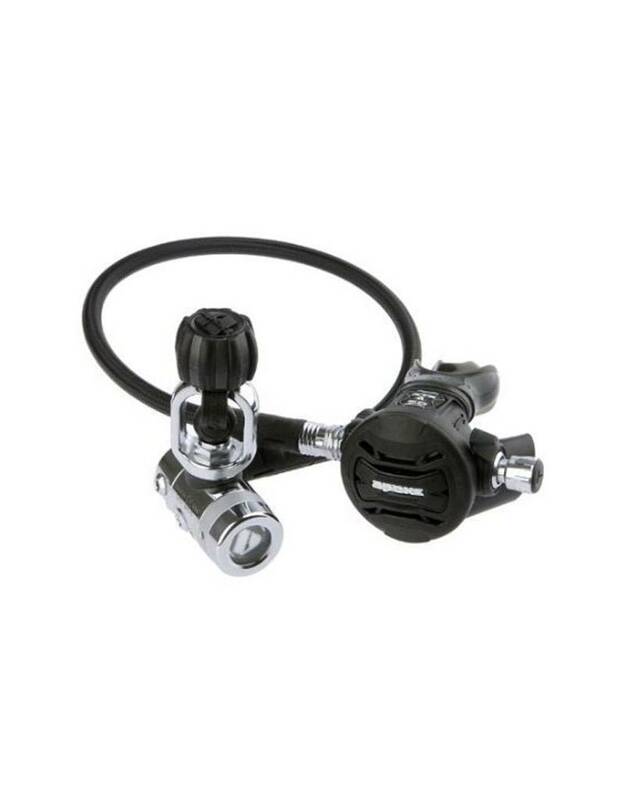 The XTX50 regulator can be converted from a right handed hose configuration (as supplied from the APEKS factory) to a left handed one. This feature is known as the Reversible Venturi System (RVS). Changing the regulator to a left handed configuration is both quick and simple and can be performed by any APEKS Authorised Service Technician. 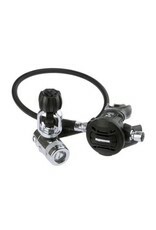 The XTX50 incorporates the Diver Changeable Exhaust system (DCE) that gives divers the ability to change from the larger exhaust tee (supplied as standard) to a smaller version. The wider exhaust tee is good for minimal bubble interference (essential for underwater photography) and a narrow exhaust tee offers a smaller, more compact regulator. The ergonomic Venturi lever of the XTX50 has been designed to reduce the amount of grit ingress which in turn gives constant, smooth operation. The XTX50 2nd stage incorporates a two-shot high strength composite front cover, improving the durability of the most vulnerable part of the demand valve. Supplied with the Apeks flexible light-weight hose.